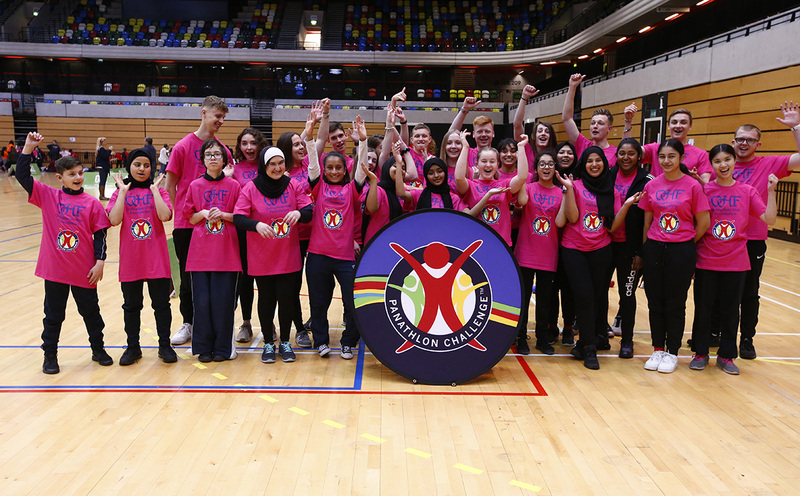 An outstanding performance from St Clere’s School ensured their first Panathlon title at the Southern England Deaf Boccia Championship at the Copper Box Arena in London. Fourteen teams from seven secondary schools competed at the Queen Elizabeth Olympic Park on Thursday (April 4) with St Clere’s ‘B’ team defeating the Essex All-Stars in the final 4-1. Paul Newbury, an instructor from the Thurrock-based school, was thrilled with the pupils’ efforts and cannot wait to return and defend their title next year. “We have been coming to Boccia events for the last three years and have had a mixed bag of results,” admitted Paul. “But today, we have brought two teams and I’m really proud of winning. Everyone has had a really good day. Sheryl Davis and Sally Woods, education communicators from Essex’s Sweyne Park School – who finished fifth – were extremely pleased to see the pupils embracing fellow pupils in the deaf community. “We can embrace the deaf community here. They love meeting up with pupils from other schools, who they met at previous Panathlon events,” said Davis. One of our deaf ambassadors, Jessica Oaten, who swims for in the GB Deaf junior squad, was competing as part of the Sweyne Park team. She was taking a rare break from training ahead of the World Deaf Swimming Championships in Sao Paolo, Brazil, in August. It was a battle between two teams from Knightsfield School for the Deaf for the bronze medal in the day’s penultimate game, with team ‘C’ prevailing 2-1 in an incredibly tight encounter. Today’s competition was run by Young Leaders from Cambridge Regional School, who performed their duties excellently to help ensure the event ran smoothly. Thank you to Ovingdean Hall Foundation for making the day possible and for their support for our entire deaf programme. Thanks also to GLL for hosting the event.